It takes a pretty tough tree to adapt to the hot, dry summers and winter cold snaps in North Central Texas. Although most pine trees are tough, some are better adapted to the region. The best pine tree for North Central Texas, chosen for its outstanding drought tolerance, is the Afghan pine, according to Texas SmartScape. 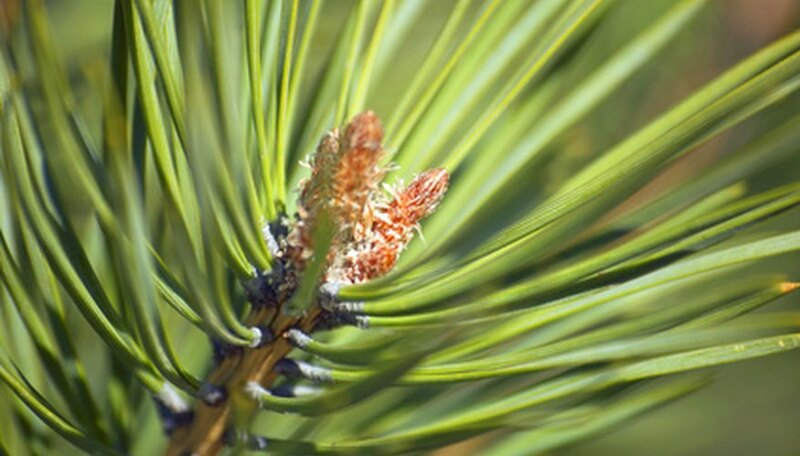 Another tree to consider is the Eldarica pine, which adapts well to the alkaline soils. Planting a pine tree is easy, and fall and winter are the best times to plant in North Central Texas. Remove and retain all the tags and informational sticks from the tree. Note the planting date. Dig a hole twice the diameter of the pine tree’s root ball and the same depth as the pot in which the pine tree is growing. Place the roots in the hole and check the depth. When planted, the top of the root ball should be at soil level or a bit higher. Backfill the hole with soil. Tamp around the base of the tree with your feet. Water the tree until puddles form. Allow the soil to drain completely. Place a soaker hose around the base of the tree. Pour a 3-inch layer of mulch at the base of the pine tree. Spread it around the tree, covering the soaker hose. Do not allow it to touch the tree. Add 1 to 2 inches of mulch during the summer. Check the moisture content of the soil during the North Central Texas summer every four or five days. Push a piece of iron rebar 4 to 6 inches into the soil. Turn on the soaker hose for two to three hours or until the soil is saturated if the rebar comes up dry. Fertilize the pine tree for the first time three months after planting. Feed the tree a slow-release, all purpose fertilizer at half the strength recommended on the fertilizer package. When determining where the pine tree will be grown, consider the plant’s mature height and width. Don’t plant over underground utilities or under power lines if the tree has the potential to reach that height. Mulch helps discourage weeds, retain moisture and keep the roots cool during the hot, dry North Central Texas summer.